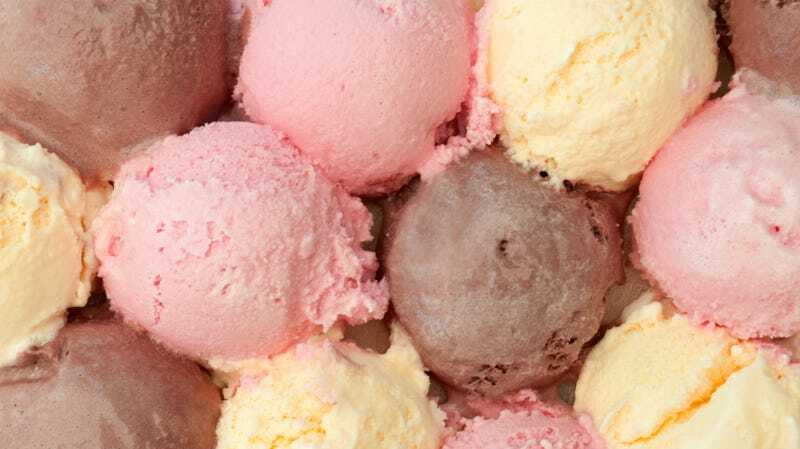 A new study published in the Journal Of Dairy Science suggests that a new acne treatment may be on the horizon, and it comes in the form of the food I most want to eat when I’m most likely to get a zit: Ice cream. ICE CREAM! The Dairy Reporter, ah, reports that the study indicates that lycopene-enriched ice cream is “a new functional food with clear antioxidant properties,” and that it “may alleviate pro-inflammatory action of ice cream at the level of facial skin, thus decreasing diet-associated acne development risk in young consumers.” Put another way: Antioxidants are good for you in general, and the lycopene might counteract ice cream’s zit-creating qualities. Lycopene is definitely the main event here. A plant nutrient that gives red and pink fruits their color, studies have shown that lycopene can help to counteract or counterbalance free radicals in the body. It’s found in tomatoes and tomato-based products like ketchup. But per the Dairy Reporter, “its lack of solubility in water, high melting point, limited chemical stability, and poor bioavailability” make it tricky as far as functional foods are concerned. However, it’s also fat-soluble, so foods rich in fat (hi, ice cream) may increase its effect. The study found that lycopene concentrations increased in subjects’ skin throughout the study, and that inflammatory oxidative damage and “low-density lipoprotein peroxidase protein values” decreased significantly.